Hops are the key flavoring ingredient in most beers. Hops grow on tall vines, called bines, and produce female flowers known as cones. Hops with no cones may be due to the time of the year, cultivation practices or age of the vines. 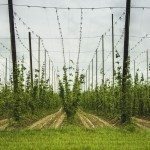 Professional growers know how to get cones on hops plants and you can to with a little advice and some tips from the trade. Hop bines need a minimum of 120 frost free days to produce flowers. The female flowers are the cones, or burrs, the source of the aromatic flavor characteristic of good beers. The time of planting can be a driving force for when, or if, you get cones in your zone. Most growers recommend planting in May, but in warmer climates, you could plant a bit earlier as long as there are no freezes expected. If you planted early enough and notice hops not producing cones, you may have a cultural issue or the vines just aren’t old enough. Hops rhizomes that are only a year old will rarely flower and, if they do, you can expect just a few. This is because the first year is for forming a good root structure. Hops grow from rhizomes that are planted in mid to late spring. They will grow 15 feet tall or more when fully established but even with regular watering and fertilizer, expect no cones on hops the first year and bines that get much smaller. Cones form at the end of the season, generally in August, although growers in some regions report cones not forming until September or October. So if you have hops with no cones, keep waiting and feed the bines to promote flowering. Older plants may fail to produce flowers if they haven’t been divided. Divide rhizomes every 5 years for consistently producing bines. 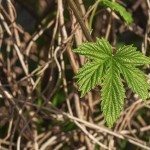 The first thing to do is to check the site and soil location for your hops. Hops need well drained soil with a pH of 6.5 to 8.0. There also needs to be plenty of sunlight and enough vertical area for the tall stems to grow. Rhizomes need to be planted the correct way too. Plant rhizomes vertically with the growth nodes facing up under two inches of soil. Water the new plants frequently, but fairly shallow, as the root systems are not yet deeply established. The following year they can withstand less frequent but deeper irrigation. Apply water to the soil, not the plants, to prevent such diseases as downy mildew. Erect a trellis or line support when bines are a foot long and begin to train them for vertical growth. Check vines frequently and trim them to just 2 or 3 healthy shoots per rhizome. Expect no cones on hops in the first several months in the ground. Hops not producing cones may be from lack of nutrients for development. Hops are heavy feeders in the first few months after planting, and annually. Feed them with a well composted manure spread around the root zone at planting time and every year in early spring. Spread more manure once per month until late July and then suspend feeding. Use an organic mulch to conserve moisture and fend off weeds. 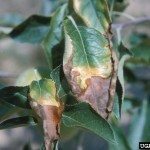 It will also gradually rot into the soil and increase percolation and nutrient levels. Strip off the lower leaves as the bines grow to prevent moisture from affecting the stems. Use these discarded leaves as further compost and nutrition around the root zone. The soil will improve and your plant’s flower yield will skyrocket. Read more articles about Hops.